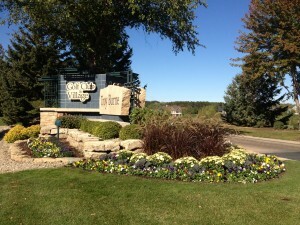 Grass Master is the proud grounds managers for the Troy Burne Home Owners Association! Commercial properties are visible to the entire community. Having well maintained grounds may mean the difference between acquiring a new customer or even a new neighbor! Grass Master proudly serves many commercial accounts within Hudson and River Falls, WI and the surrounding area with top-of-the-line quality services for turf and grounds management. Don’t be dissapointed with haphazard, in-and-out service providers that care more about the paycheck than the quality of the job. Grass Master will treat your commercial property with the same standards, care and respect that we treat our residential customers with. Call Grass Master today for a no-pressure consultation and free estimate to meet the needs of your commercial property grounds management.